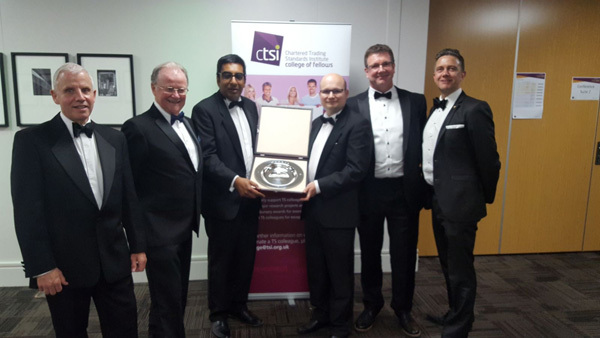 City of Wolverhampton Trading Standards have fought off stiff competition to win the British Hallmarking Council’s Touchstone Award 2018, with judges praising several applicants for their commitment to enforcing hallmarking and raising consumer awareness. This year’s very high standard of applications from across the UK reflected enforcement relating to internet sales, effective response to intelligence and extremely innovative educational operations. There was also evidence of proactive long-term projects protecting consumers and legitimate businesses. The annual Touchstone Award was launched by the British Hallmarking Council (BHC) in 2012 to encourage and reward the most effective initiative relating to increasing awareness and enforcement of hallmarking. The prestigious Award is funded entirely by the four UK Assay Offices. Applications for 2018 reported a wide range of significant activity relating to hallmarking and presented the assessment panel with a difficult challenge to identify one winner from amongst some very worthy entrants. In addition to Wolverhampton being declared winner, both Merthyr Tydfil and Shared Regulatory Services, a regional collaboration between local government authorities in Bridgend, Cardiff and the Vale of Glamorgan, were Highly Commended. Wolverhampton scored highly for their proactive campaign to improve awareness of the laws and benefits surrounding hallmarking amongst both businesses and consumers within their very diverse community. The team engaged with every jeweller in the City, providing them with a comprehensive educational pack detailing the rules and the benefits of hallmarking, emphasising how selling hallmarked goods could add to their reputation. The free packs also included a current dealer’s notice so there could be no excuses for non-compliance. The approach to consumer education was enlightened, demonstrating a well planned and executed effective campaign. Multi lingual officers engaged with “often overlooked communities” where many are not native English speakers. 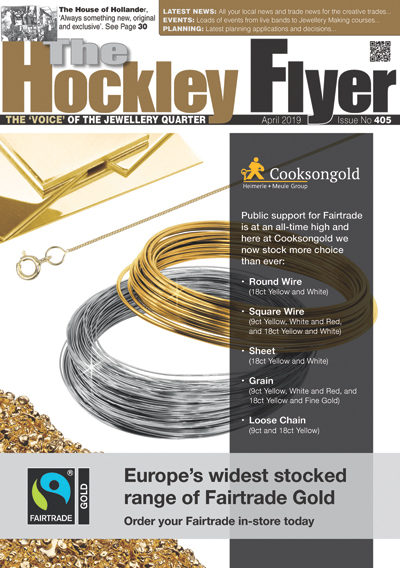 Within these groups there can also be a different cultural approach to buying jewellery, and a complete ignorance of hallmarking requirements leaving consumers vulnerable to being cheated. Understanding where they would have the most influence, Trading Standards Officers targeted places of worship, developing the obvious links between weddings and precious metal jewellery. Leaflets and posters in English, Gujurati, Urdu, Hindi and Punjabi were widely distributed and the campaign also targeted youngsters with children’s activity packs including word search puzzles and pictures to colour. The Highly Commended application from Merthyr Tydfil was also proactive and scored highly as it addressed a major concern to the BHC; the increase of un-hallmarked, falsely described and fake items sold online. Trading Standards Manager Paul Lewis set out to identify illicit traders, monitoring those selling on Facebook, eBay and Gumtree. The application focussed on successful enforcement and the prosecution of one such trader. 363 seized articles were found to be in breach of the Hallmarking Act, Trade Marks Act and the REACH provisions for restricted substances. The trader was fined £2,000 plus costs and 176 items of jewellery were ordered to be destroyed. The Shared Regulatory Services of Bridgend, Cardiff and the Vale of Glamorgan conducted a more standard activity to assess compliance and take necessary enforcement action across their wide region. Using intelligence from previous surveys they targeted a mix of previously non-compliant businesses and some new ones including stallholders at a Christmas Fayre. Visits were carried out thoroughly with officers accompanied by an Assay Office representative who supported them with his expertise of new and second-hand jewellery, gemstones and silverware. As a result of the visits 77 items were removed from sale, ten verbal warnings issued and one jeweller registered with an Assay Office. Judges praised the application for its thorough targeted planning and effective delivery. Relentless follow up and revisits were an important factor in the success of this application. Noel Hunter OBE, Chairman of the BHC, said: “The British Hallmarking Council is committed to working with the Chartered Trading Standards Institute and other authorities to enforce our important legislation. The Touchstone Award maintains a high profile for hallmarking on the consumer protection agenda. We have been hugely encouraged by this year’s applications which demonstrate that despite significantly reduced resources trading standards recognise the need to enforce the Hallmarking Act to protect consumers and legitimate businesses from scams and fraudulent activities. Although enforcement resource is significantly reduced, Trading Standards Officers are using the manpower they have very effectively. Paul Dosanjh, Chief Trading Standards Officer and Lee Jenks, Lead Officer for the project at City of Wolverhampton Council were presented with the Touchstone Award at this week’s Chartered Trading Standard Institute Symposium in Nottingham. This award-winning team can now look forward to a Civic presentation in Wolverhampton and an educational tour of Assay Office London in November followed by lunch in the glittering surroundings of Goldsmiths’ Hall in the company of members of the BHC and the Worshipful Company of Goldsmiths.